Are you looking for a massage therapist who can help to bring your horse to it's full potential? Are you looking for a knowledgeable professional person to guide your horse back from an injury? Are you looking for a therapist who will provide you and your equine partner with the "total package" to bring you into balance and harmony? Yes? Then look no further. 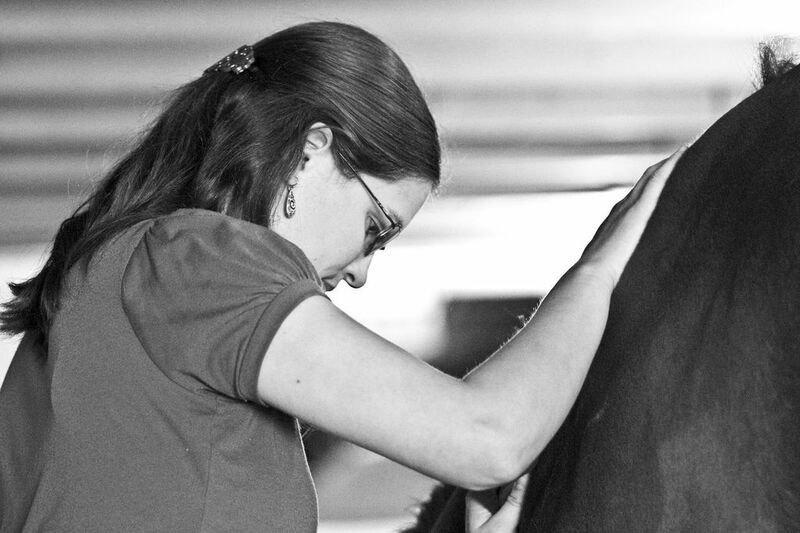 Kate Meyers not only trained at the best equine massage program in the Americas but has also recently completed the massage therapy program at the school with the best pass rate in Ohio. You can feel confident in her skills, not worry about her credibility and focus on your goals for your horse. While providing excellent therapeutic and relaxing massage she will also provide guidance on exercises to build weakened muscle, gain more trust in your relationship with your horse and help you and your horse reach your goal. Therapy is provided to all types of horses. From harness racing Standardbreds to pasture potatoes. From trail horses to high level competition horses. All horses deserve to have their tension reduced and freedom of movement restored. Please see the Services page to find the perfect fit for your equine partner. Keep Your Eyes Open for Me at Ohio Horse Shows! ​We Will be at 2016 All-American Youth Horse Show!